I use a lot of Google products like Gmail, YouTube, Google Docs, Google Calendar, etc., etc., and so does everyone in my family. The one problem with this situation is that if you don’t log off your Gmail or Google account, then the next person that comes around can access your entire Google life! So you would think Google would have developed an option to automatically log you out after a certain amount of time, but it doesn’t exist! There’s one major reason for that too: Google doesn’t ever want you to log out of your account because then it can’t track everything you do. If you’re logged in, they gather information about how you use all the Google services and use that information for everything from advertising to adjusting the order of results in Google Search. Personally, I don’t really care too much about that aspect. My main reason for automatically logging out of my Google account is just to make sure no one else can access my account after I leave that computer. I’ve seen it happen so many times in hotels and apartment complexes where I go to Gmail in the browser and it loads up someone else’s Gmail account! Lucky for them, I’m not a hacker or an evil person otherwise I could theoretically access lots of sensitive information about that person. Unfortunately, there is no perfect solution to this problem. In this article, I’ll try to walk through the different things I do in order to make sure my account can’t be accessed by anyone else. Let’s say you logged into your Gmail account at a friends house and forgot to logout before leaving. Now what? Technically, that person can just go to Gmail and see all your emails. Luckily, there is one feature in Gmail that helps with this type of problem. You can log into Gmail on another computer and then sign out all other sessions. If you go to Gmail and scroll all the way to the bottom, you will see Last account activity: x minutes ago and a link called Details. If you click on that, it will open a new window showing when you account was accessed by type (browser, IMAP, SMTP, etc) and by IP address/location. If you click the Sign out all other sessions button, only you will be able to access your Gmail account again. Anyone else will have to sign in again with a password. This is still a very manual process, but it’s useful if you logged in somewhere and can’t physically logout from that device. The only true “automatic” way to logout of your Google account is if you’re using two-factor authentication (called two-step verification by Google). With two factor authentication, you have to type in your password and you have to type in a six digit code generated every 30 seconds by an app on your phone. When using two-step verification, if you don’t check the Remember verification for this computer for 30 days option, every time you try to log into your Google account, you will have to type the six digit code. Of course, this requires more setup and you also have a little more hassle of having to type in this code anytime you want to access you account. However, if you’re looking for a way to logout automatically, then you probably are the person that doesn’t mind retyping their credentials. Also, if you have your password saved in the browser, it works really well because the password will automatically be filled by your browser, but no one can gain access until you type in the code. So instead of having to type in your password again and again, you just need to enter the code. The last thing you can do is to make sure you don’t sign into Chrome if you’re using the Chrome browser. If you sign in using your Google account, then your apps, bookmarks, passwords, autofill data, and lots of other information will be synced and saved. However, even if you don’t sign into Chrome, you still won’t be automatically logged out of your Google account. The next best option is to use one of the private browsing modes that all browsers now have. 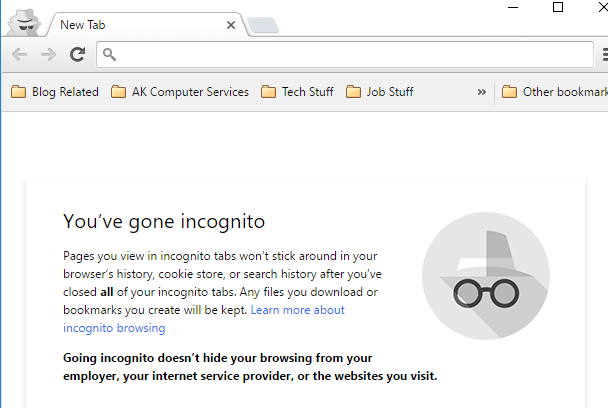 I’ve written about how you can turn on Incognito mode in Chrome and Opera, private browsing in Firefox and private browsing in IE 11 or Edge. Now you can sign into any account you like, but when you close the private browsing window, everything will be deleted. If someone re-opens a normal Chrome window or even a new Incognito window, they will have to log into everything again. Like I said before, there really aren’t any great options for automatically logging out of your Google account. If you have found a better solution than the ones mentioned above, feel free to post a comment and let us know. Enjoy!